CD reviews: "Give Me Immortality Or Give Me Death," "Dorkfish" and "Unchained Maladies"
These reviews first appeared in the January 16, 1999 edition of the American Reporter. Firesign Theatre, heroes of the easily bored everywhere, are back. All four original members  Phil Austin, Peter Bergman, David Ossman and Phil Proctor  are together for the first new recording in 20 years. The topic? The end of the world on New Year's Eve, 1999. The setting? A radio broadcast leading up to the Rapture, of course. It's Firesign at their best: Deeply bizarre and disturbing commercials, odd traffic reports, Princess Di sightings (hey, she's still alive ...), and all the news that's fit to twist. Like the Beatles in the period of their last few albums, Firesign can only truly exist in recordings  they are not improvisers, but carefully script out everything and provide wonderfully plush sound effects, like old-time radio. Firesign is just as warped and odd and sometimes difficult to grasp as ever. But that was always the beauty of Firesign  not only could you listen to them over and again, you pretty much had to if you wanted to understand more than a few of their skits. Bill Engvall is a Southern comedian in the vein of Lewis Grizzard: He dishes out small slices of life with a sardonic twist. 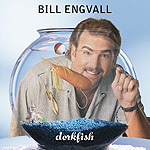 Like the late Grizzard, Engvall is a wonderful story teller  he doesn't rely on gimmicks or outrageous stunts, just his warm drawl and an ear for life's weirdness. You can buy a pair of pants with a collar: But you do, because they're five bucks. If he has a theme, it's the aggravation of having to deal with stupid people in life. And so he talks about idiots who can't find their own seat on an airplane, TV forecasters who seem surprised at the weather, anti-smoking fanatics and the whole passel of morons who inflict the rest of us. The right Rev. 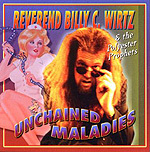 Billy C. Wirtz ain't your run of the mill Southern preacher. He stands somewhere over six-foot, has red hair that drops over his shoulders, and tattoos covering both arms. He also plays as much boogie woogie piano as anyone this side of Jimmy Lee Swaggart, and has a baritone voice that could anchor the Oak Ridge Boys. And, of course, his "services" aren't held in some whitewashed Tennessee church, but in nightclubs and dives across the country. Said services may have a similar structure to a Baptist confab, but there any similarity ends  unless the faithful have suddenly begun praying to Elvis. His latest album gets away from the spoken comedy bits and focuses strictly on musical comedy bits. Which are funny, but not as good as when he's on a roll in one of his thundering sermons. Wirtz's favorite topics  Elvis, cross-dressing, conservative neanderthals, anything to do with the South  all make frequent and repeated appearances in his new batch of 12 songs. Fans of Wirtz will appreciate the new material; folks curious about him would be better served by his live CD, "Pianist Envy."